Another of the items I pulled out in the draw for my ‘bucket list‘ was “Walk in a rainforest”. I didn’t think that was likely to happen in Europe, though now that I’ve taken a moment to check it seems there are some fragments of temperate rainforest in Europe, including around Loch Maree which we passed by on our drive through Wester Ross. Had I known that or thought to look sooner we might have done it then but instead it stayed on the list for sometime after we arrived home. In any case I never expected this item to pose a challenge once we were home. We have always enjoyed visits to national parks and many of those include rainforest that would allow me to tick off this item. Even so, it was not untill last week that we managed it. Retired life seems to be so busy. The occasion arose because Majella has taken on an ambitious challenge for this year. Our friend of almost 40 years, Laura Ryan, is a keen bushwalker and an active volunteer for associated activities around the Gold Coast and its hinterland. She is also a keen and skilled photographer. 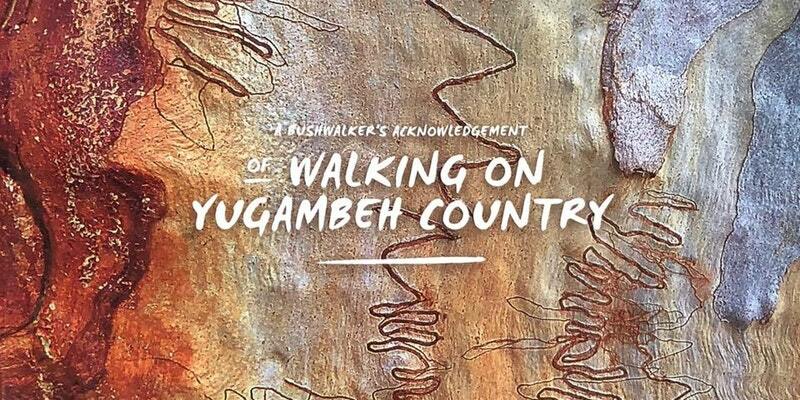 Last year, with assistance from her graphic designer daughter, Aimee, she self-published a book, A Bushwalker’s Acknowledgement of Walking on Yugambeh Country, with photographs and details of many walks in the region. Majella has decided that she wants to attempt all 20 of the ‘walks’ in Laura’s book. They range from ‘no walking required’ for a lookout adjacent to a car park to more than 20 km described as ‘moderate to strenuous’ with one for which the advice is to take a guide. With January already gone we decided that we really needed to make a start on that last week. Early last Thursday we headed for Springbrook National Park, intending to complete some of the shorter walks from Laura’s book before driving on to Tweed Heads to visit Majella’s parents. Around 3 hours of driving got us to Natural Bridge where we walked the 1 km circuit through rainforest to the glow-worm cave and waterfall. It did not rain while we were there but it had rained in recent days so there was a strong flow of water in the falls and plenty of moisture in the forest. That short walk definitely qualified for ticking off that item on my list. We carried on from there to walk as much as was possible of the closed 4 km circuit at Purling Brook Falls and visited a couple of lookouts. By the time we reached Best of All Lookout the view was shrouded in mist. We pulled up short of walking the 4 km Twin Falls circuit so that one is on the list for a future attempt. Perhaps we might manage a clearer day when the Best of All Lookout is at its best. It was a good day out. I got some respectable photos and we managed to tick off 3 of the 20 walks from Laura’s book along with my bucket list item. That leaves 5 items on my bucket list and 17 walks, most of which are substantially longer and more challenging than those we completed last week. It should be a fun year.